This time last year, I was pregnant and just beginning to show. And now I have a 9 month old?! Time passes so quickly. Let’s enjoy life and each other. I hope that everyone is having a wonderful day! As I like to tell Harper…let’s make this week fabulous! Oh my gosh!! Hello Cutie! She is adorable. I know what you mean, I can't believe Declan is already 9 months too. I hope you all are doing well! 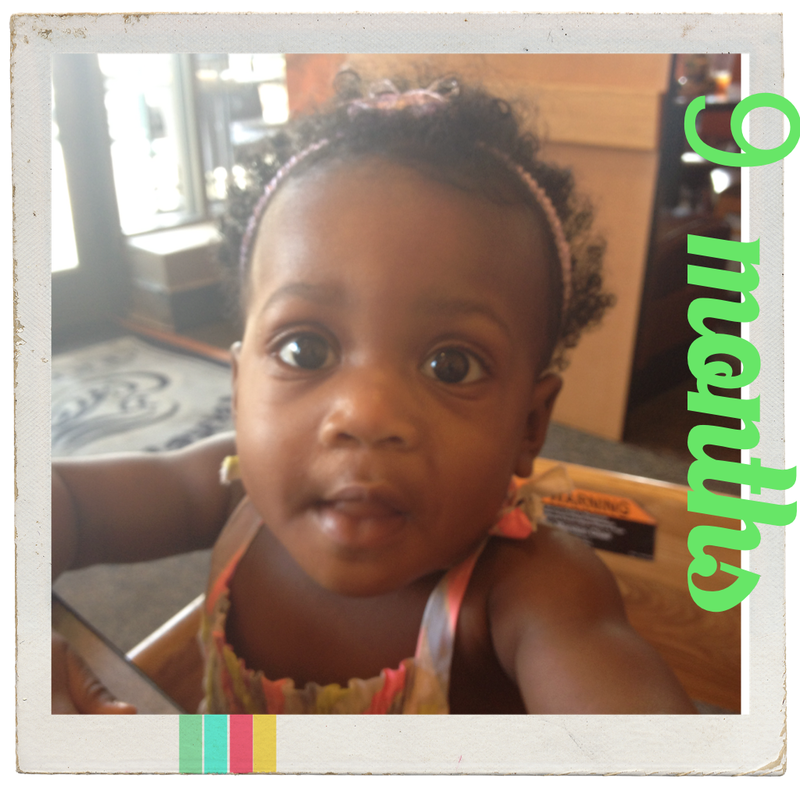 I fell off of the blogosphere for a while…I didn't even realize you had her already now she's nine months WOW. She is one adorable girl.